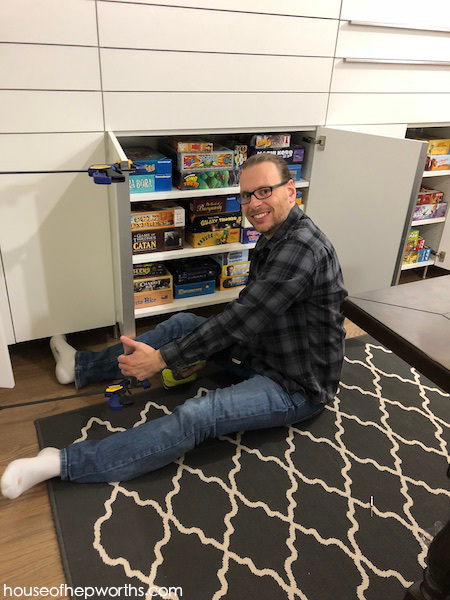 Our formal living turned board game room is coming along nicely with the addition of new Ikea hardware. 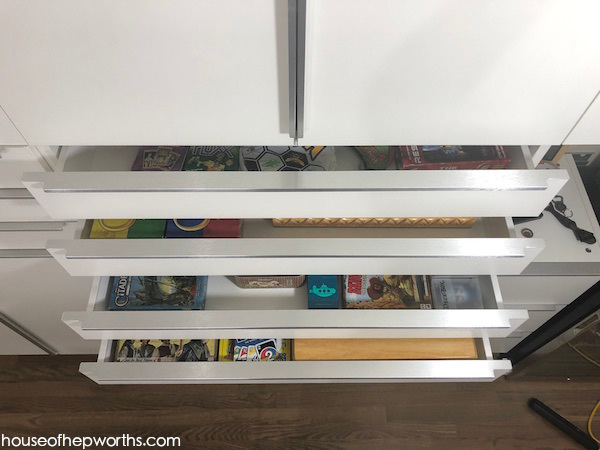 Last I left off we had installed the IKEA cabinets to store board games. 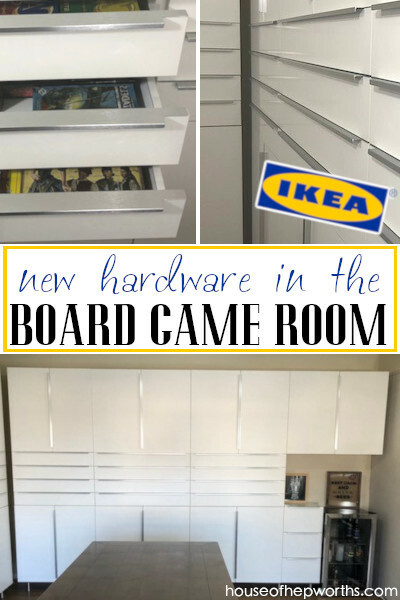 Today I’m talking about the Ikea hardware we chose. When you peer into the room from the foyer, this is what you see. It’s obviously a work-in-progress but we are still enjoying it none the less. Off to the right we have floor to ceiling cabinets. 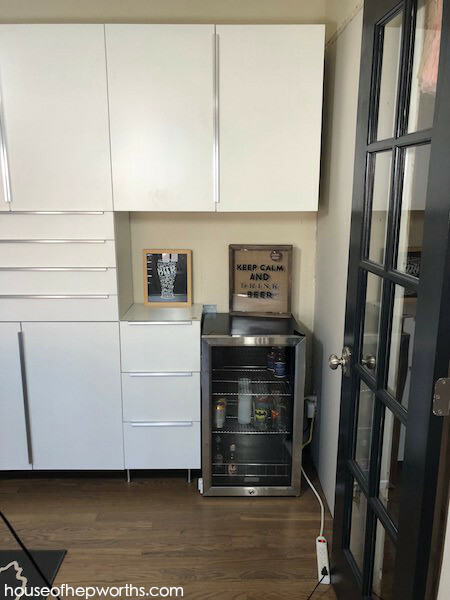 We left a little space at the top (as opposed to taking the cabinets all the way to the ceiling) because we plan to install some lighting around the perimeter of the room. The lighting won’t work with the cabinets all the way to the ceiling. I’m getting off topic already though. 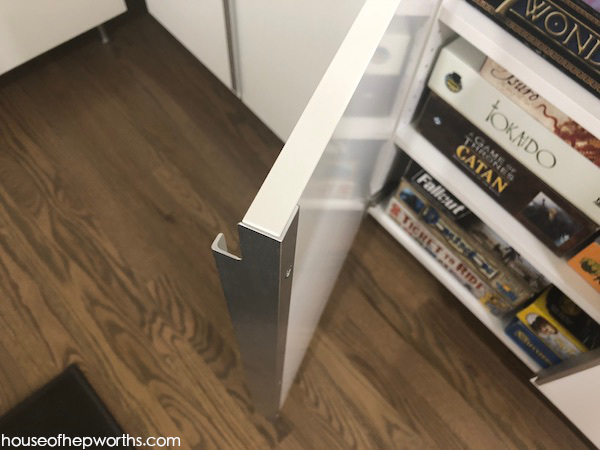 Today I’m talking about these cool handles! 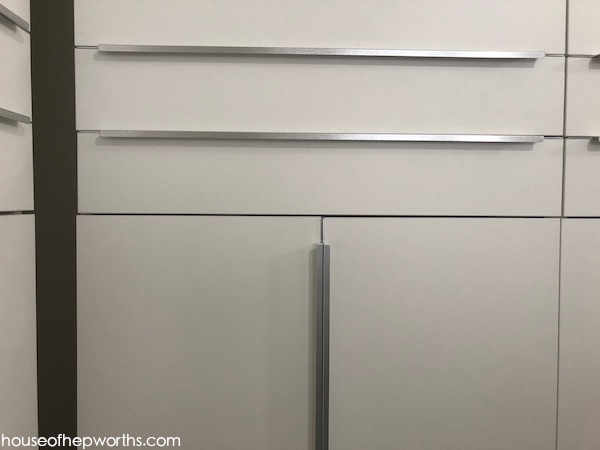 As you can see, the Ikea hardware we chose spans the entire cabinet door and drawer front. 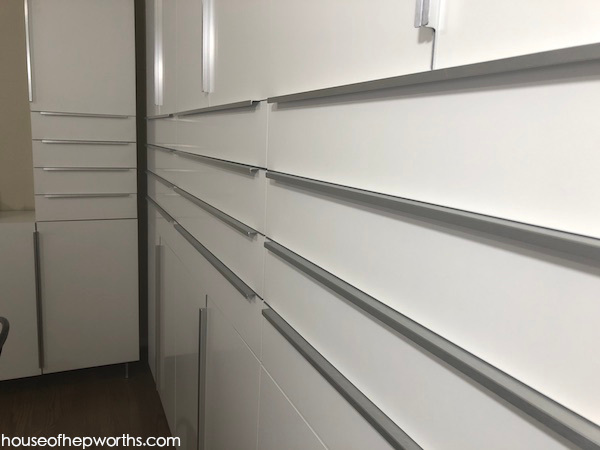 We installed the cabinet handles vertically and the drawer handles horizontally to add some contrast. 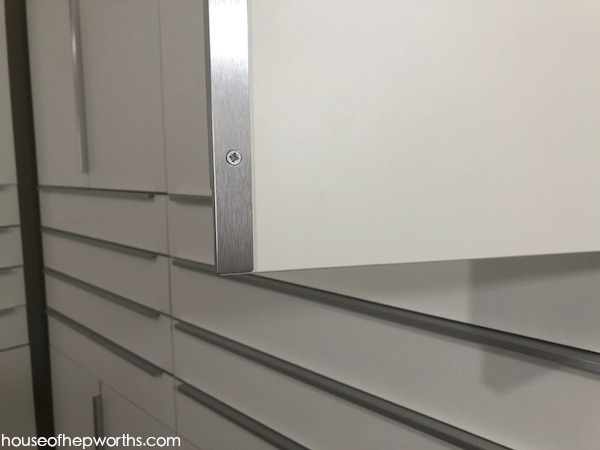 This IKEA hardware for cabinets is called Blankett. 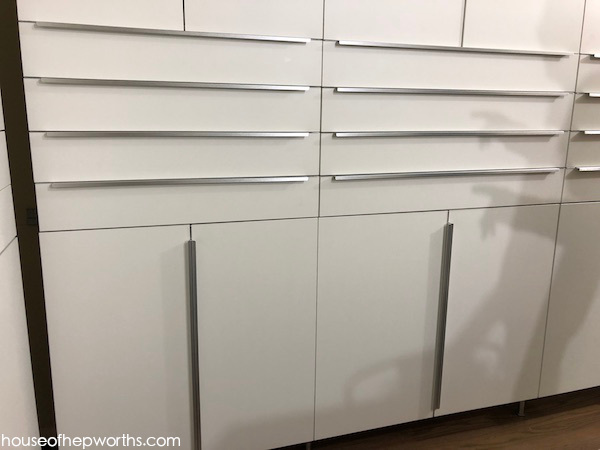 We had to measure the height of the cabinet doors and the width of the cabinet drawer fronts before we headed to IKEA so we could purchase the appropriate length of each handle. Ben and I spent an evening attaching all the cabinet door handles and drawer pulls. 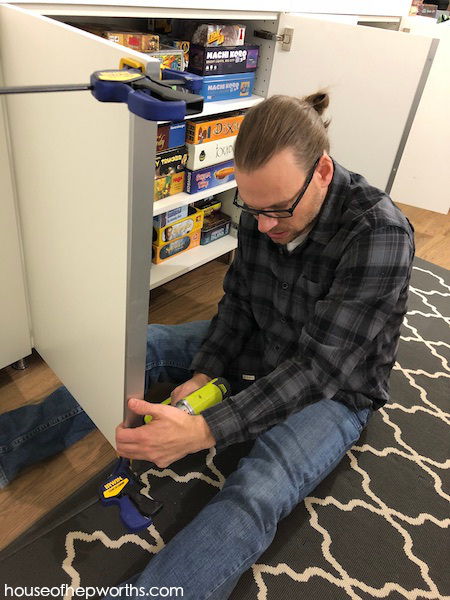 I clamped it exactly in place and then he screwed each piece into place. TEAMWORK! Each handle is aluminum and is very lightweight. 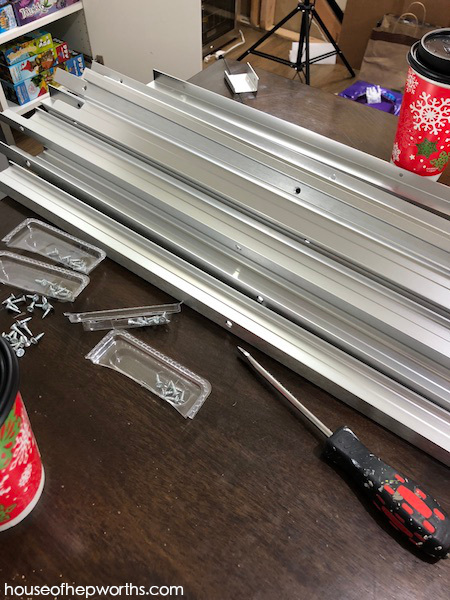 It was easier to open all the packages at once and then assembly-line install them. Here’s a shot of our little dry-bar area. We are going to add a countertop to this section and some filler to frame out the mini fridge. Installing all this IKEA hardware took us a few hours one evening. 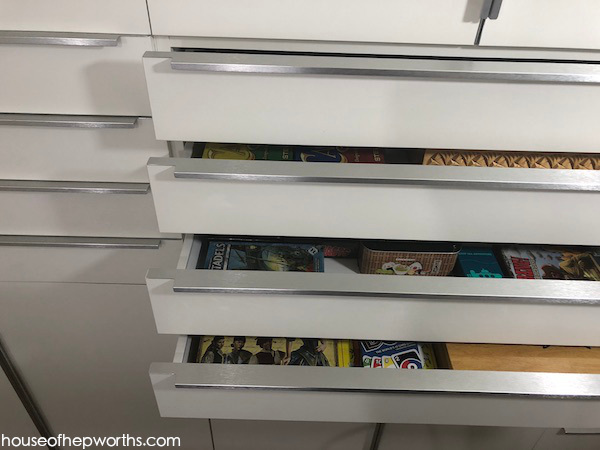 We are really happy with the quality of the hardware as well as the overall look it gave the board game room cabinets. 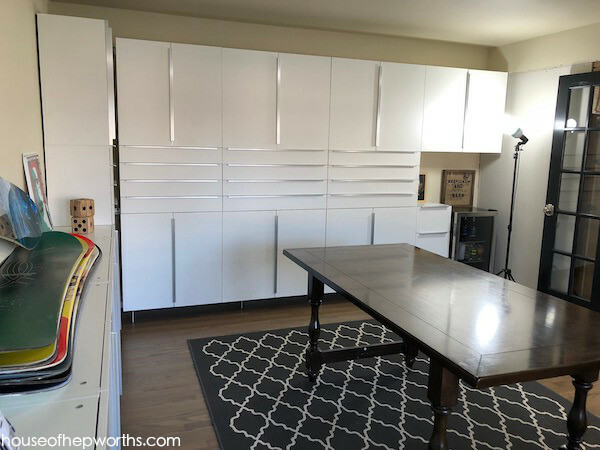 We went cheap with the cabinet doors so we splurged a little with the IKEA hardware to give the room some nice clean lines. 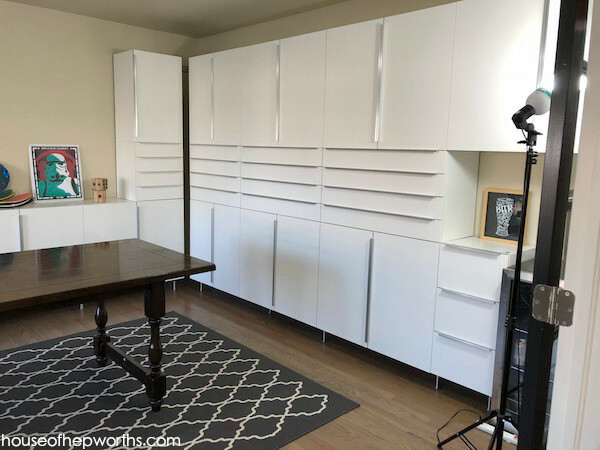 14 really great IKEA home decor HACKS! That came out super sleek looking! Kinda makes me think of garage/workshop cabinetry. Looking good! Thank you. We wanted it to have really clean lines, and minimalist looking. I think it will look less “garage” once we trim out all the gaps and openings. 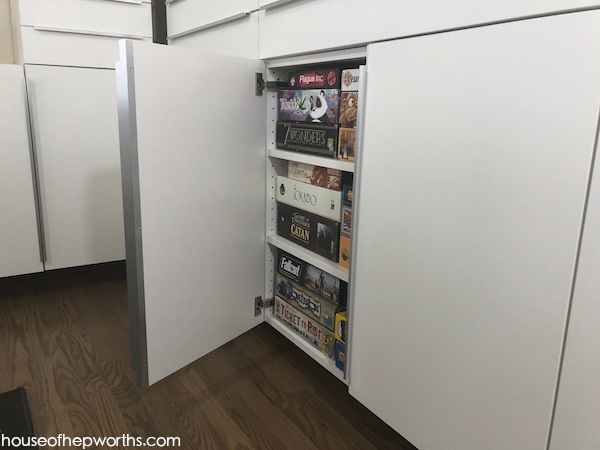 I love this so much, if we had space in our home we would do the same because both of us are avid board game players. I just love the setup and that beautiful gaming table. 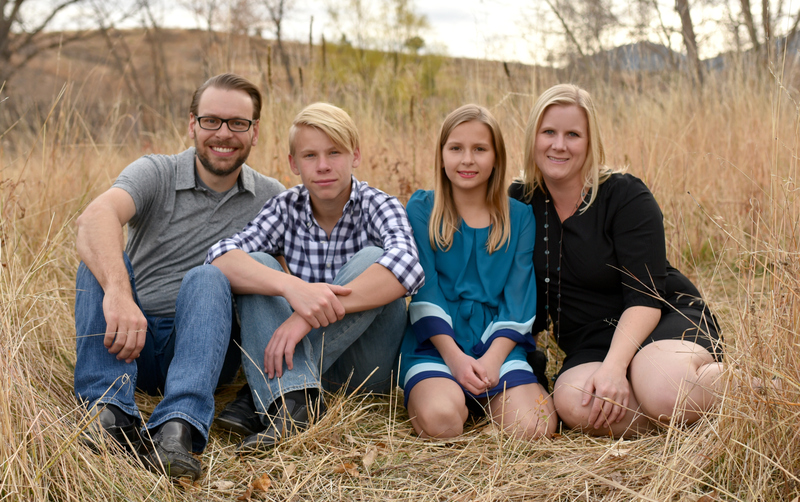 You’re my kinda people! 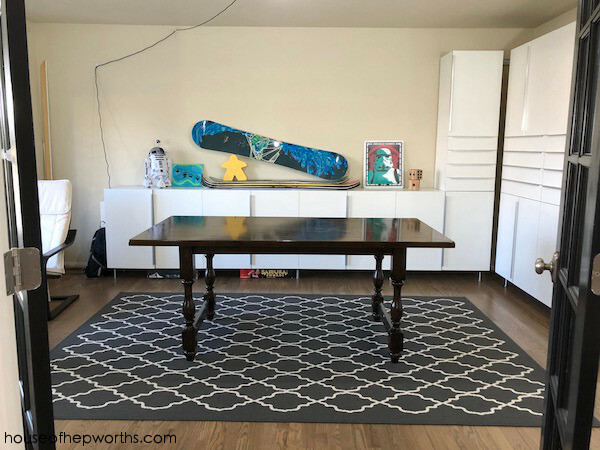 Are you going to hand the snowboards on the wall above the cabinets? I recognize those games! We have hundreds in our basement, too. My husband could have worse hobbies. 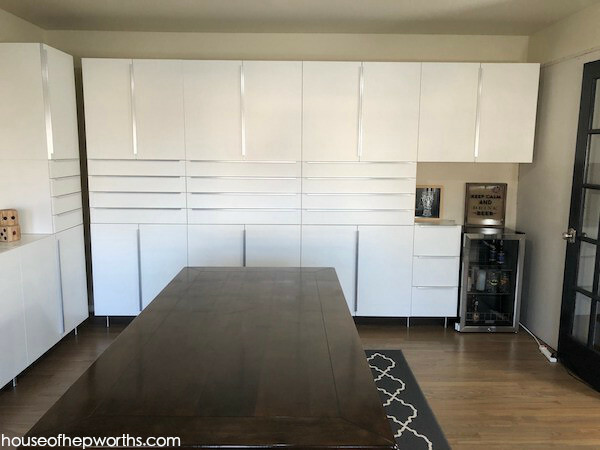 🙂 The cabinetry looks great.